NASHVILLE, Tenn. – Tennessee Gov. 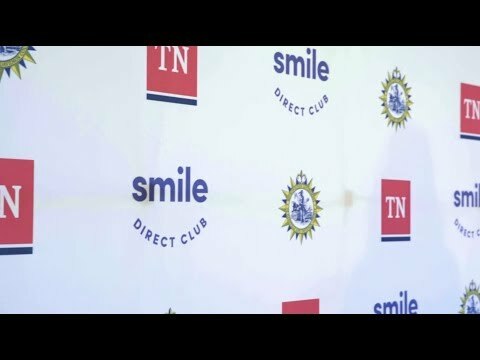 Bill Lee, Department of Economic and Community Development Commissioner Bob Rolfe and SmileDirectClub officials announced today the company will invest $217 million to expand its headquarters and facilities in Middle Tennessee. SmileDirectClub was founded on a simple belief: Everyone deserves a smile they love. Recognizing an opportunity to increase access to dental care, the company pioneered the creation of cutting-edge platforms and technology for doctor-directed, remote invisible aligner therapy. With a digital network of more than 240 affiliated licensed dentists and orthodontists overseeing customer treatment, from impressions made with an at-home kit or from a scan taken at one of the 200+ SmileShops across the United States and Canada through the end of the customer’s treatment, SmileDirectClub has made orthodontic solutions more affordable and convenient than ever before. SmileDirectClub was founded in 2014 by Alex Fenkell and Jordan Katzman in partnership with Camelot Venture Group, whose portfolio companies include 1-800 CONTACTS and Quicken Loans, and is based in Nashville, Tennessee. For more information, visit SmileDirectClub.com.